You finally figured out a career path and maybe even the college you want to attend, but now you are faced with the daunting task of figuring out how to pay tuition and it seems that your only option is to take out student loans. You do the math and “Holy S*%#!”, you figure out that you will either be paying those off for the rest of your life or your monthly payment will be sooo high that you’ll have to live with your parents until you do pay them off! That is not true. The FedLoan servicing program has several options for income driven repayment plans, loan consolidation, and loan forgiveness programs. 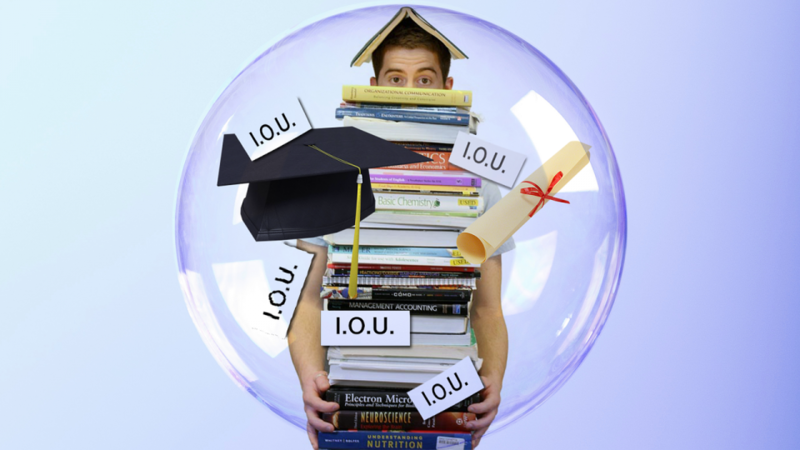 The secret to managing all of this after you graduate is to not ignore your loans! Look into these programs before you graduate because some of the loan forgiveness programs are based on where you work. For example, I work full time for Southwestern College, which is a non-profit organization. I consolidated my loans, got on an income-based repayment plan where I pay less than $100 per month, and I also got on a public service loan forgiveness program because I work at least 30 hours per week at a non-profit. As long as I continue to do this for a total of 10 years or 120 payments, the remainder of my student loans will be forgiven! In the end, the government will be paying waaay more on the balance of my loans than I will have ever paid in those 10 years. Many mental health agencies are non-profit and they usually state it somewhere on their website. Presbyterian Medical Services (Santa Fe Community Guidance Center) has many agencies all over New Mexico and they are non-profit. Solace, Life Link, and Santa Fe Recovery Center are just a few other non-profit agencies here in Santa Fe and Espanola. Even if you don’t work for a non-profit or apply to one of the other loan forgiveness programs, as long as you are on an income-driven repayment plan, the balance of your loans will be forgiven in 12-25 years depending on which plan you choose. That seems like a long time, but for most of us, it is not the rest of our lives. See our web page https://www.swc.edu/managing-student-loans/ devoted to giving you all of this information including links to connect you to these various programs. Don’t allow the fear of paying off student loans impede your dream of doing what you love in life. If you would like to read more blogs on this subject click here!